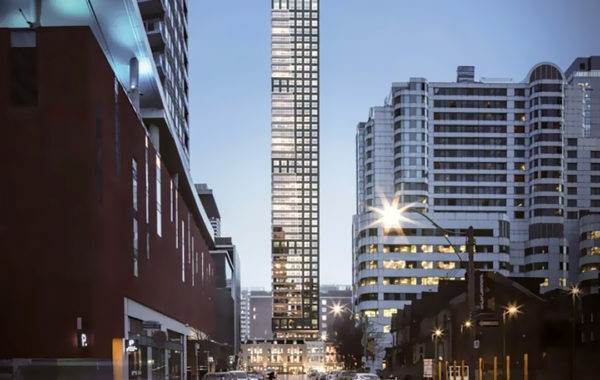 This new condo project Approved for 47 storeys, this ambitious high-rise will span three separate lots and include a range of suite layouts, along with retail space at street level. A selection of upscale, urban amenities are planned, including a spa, fitness centre and a co-working space. 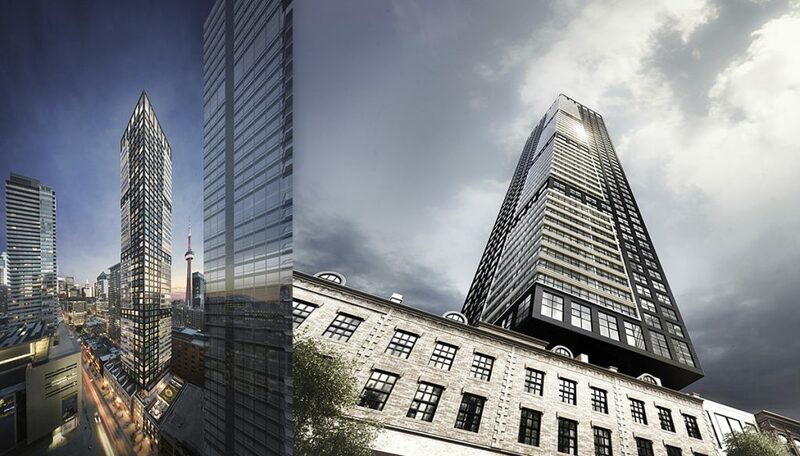 Empire Maverick Condos is a pre-construction condominium under development by Empire Communities in Toronto’s Entertainment District. The expected occupancy date is tentatively set for 2022,, so be sure to register with us for all the latest details as they become available. 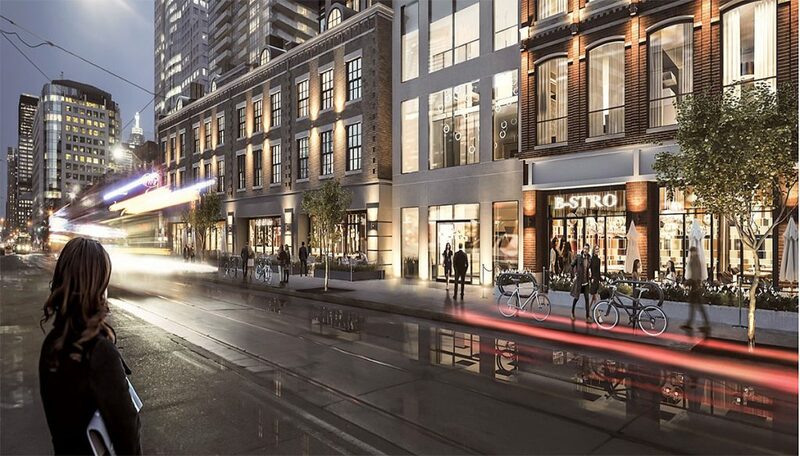 This condominium designed by IBI Architects and U31 will occupy the lots from 333 to 321 King Street West, a stretch of land just west of John Street. 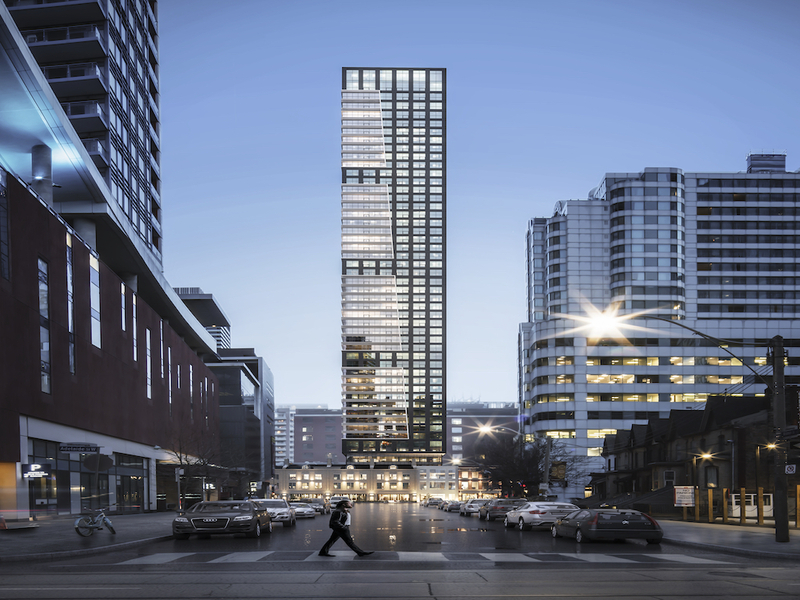 The skyscraper boasts a contemporary glazed design, which will bring together the best of the neighbourhood’s rich industrial roots with its current status as an urban hotspot. Complete with a greyscale colour scheme and glass panelings, this is the ideal luxurious addition to the cosmopolitan Entertainment District. It’s approved for 47 storeys and 304 residential units. The unit mix will include a range of one bedroom to three bedroom units ranging from 452 to 1,071 square feet. An exciting roster of amenities will be included at Empire Maverick Condos, including a large outdoor terrace overlooking the city with plenty of space for barbecuing, dining and lounging. A spa, event space, lounges with wet bars dining room, fitness centre, beauty bar, fitness centre, and co-working space are all planned for the site. The latter will eventually make this a great spot for young urbanites and professionals on the go. The project boasts high end amenities, but the stand out is The Maverick Social, an Empire Maverick exclusive social club that promises to connect residents with the hottest events and shows in the city. The club will offer perks like wine tasting, and private yoga. The building’s units are just as lavish, with finishings like laminate flooring, high ceilings, stainless steel appliances, and stone countertops. The site is currently home to at least two heritage buildings and the developers are planning to retain the facades of these buildings and incorporate them into a three-storey podium, which will anchor the high-rise portion. Retail space will be provided at street level, along with a residential lobby. Condos in the Entertainment District are in extremely high demand thanks to the area’s dynamic and exciting downtown location. Almost everything you need is in walking distance down here, so it’s not surprising that the site scores a perfect 100 on both its Walk and Transit scores. Once a major industrial hub, the neighbourhood is still populated by many historic warehouses, some of which have been converted into restaurants, nightclubs, studio or office space. These traditional buildings now nestle side by side with modern glass towers, giving the area a unique look that merges old with new. In this neighbourhood, if you’re not sipping drinks on a rooftop patio or indulging in some of the city’s most talked about cuisine, you might find yourself taking in live music or theatre at one of the neighbourhood’s cherished venues, such as Roy Thompson Hall, The Royal Alexandra Theatre or the Shangri La’s swank piano bar. The area is served by several 24-hour streetcar lines, including the King line, which recently underwent a pilot study to increase commuting efficiency. 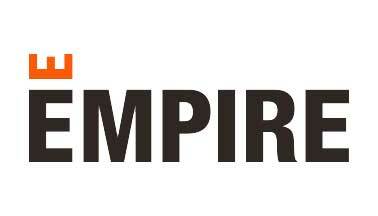 Empire Communities has spent 20 years creating a range of properties throughout the GTA, from expansive single-family home subdivisions to sleek waterfront high-rises. With a keen eye for smart space planning and innovative design, they pride themselves on making everyday life richer and more sustainable.